Being part of the New York Five in the 1970s may have given Richard Meier an inside track to the Pritzker Prize in 1984. Yet that same year he began his most ambitious and contentious project, the Getty Center in California. Every new home builder has to satisfy planning boards, building codes, and neighborhood associations, but local angst is nothing compared with the well-documented challenges Meier faced satisfying the Brentwood Homeowners Association. Every stone used and every shade of white (over 50) needed approval. Nobody is exempt from rules and regulations. The challenge of the creative architect is to maintain a design philosophy within these restraints. "As I have said many times in describing my own aesthetic," Richard Meier said in accepting the 1984 Prizker Prize, "mine is a preoccupation with light and space." Meier was certainly not the first nor the last architect with this obsession. In fact, the arrangement of light and space has given definition to the word architecture and certainly to the works of Richard Meier. A common theme runs through Richard Meier's striking, white designs. The sleek porcelain-enameled cladding and stark glass forms have been described as "purist," "sculptural," and "Neo-Corbusian." Listed here are a few of his most significant works. In 2005 architect Richard Meier admitted that his mission to design a museum for the ancient Roman Ara Pacis (Alter of Peace) was "intimidating." The glass and marble building certainly stirred controversy. Protestors said that the modernist structure was not in keeping with the alter, which was erected by the Emperor Augustus in the first century B.C. But Walter Veltroni, the mayor of Rome, avowed that "Rome is a city that's growing and doesn't fear what is new." Listen to the entire story, Roman 'Altar of Peace' Survives Aesthetic War, on National Public Radio (NPR). "For me, part of the significance of an awareness of architectural history is that we again value permanence, continuity and, therefore quality. I am deeply concerned with the making of a building and prefer to think of myself more as a master builder than as an artist, for the art of architecture ultimately demands this." "...white is the most wonderful color because within it you can see all the colors of the rainbow." Who Were the NY 5? 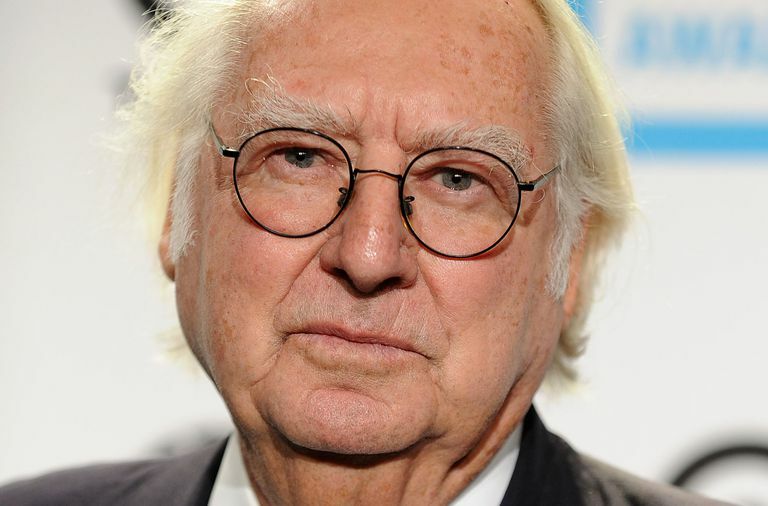 Richard Meier was part of the New York Five, along with architects Peter Eisenman, Michael Graves, Charles Gwathmey, and John Hejduk. Five Architects: Eisenman, Graves, Gwathmey, Hejduk, Meier was first published in the early 1970s and remains a popular treatise on modernism. "The Five was never an official group," said architecture critic Paul Goldberger in 1996, "and its members had as much dividing them as joining them. All they really had in common, in a sense, was a commitment to the idea that pure architectural form took priority over social concerns, technology or the solving of functional problems."